The Luster Now whitening toothpaste uses Blueverite technology to get to work straight away to reverse yellowing of teeth. 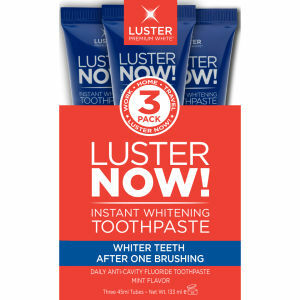 Containing fluoride, it's suitable for everyday use and even prevents cavities. With a classic mint flavour, this toothpaste is a must have for a dazzling white smile! K.D.